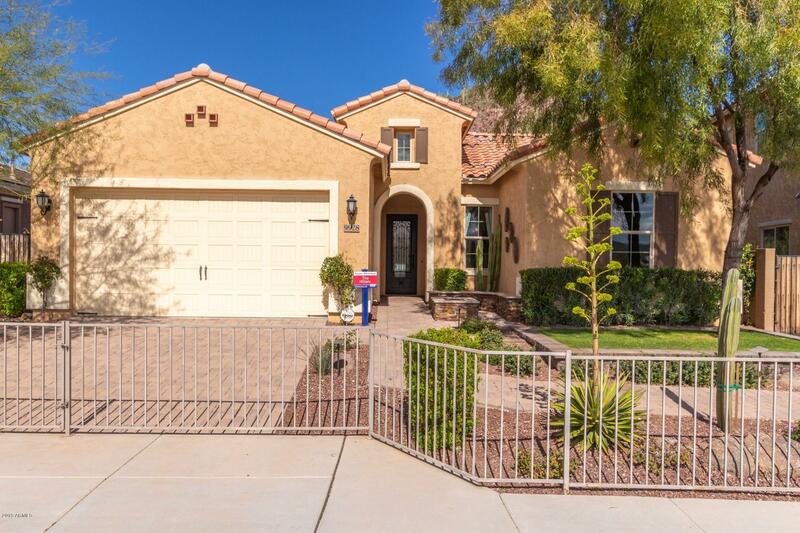 All Northlands Passage Collec homes currently listed for sale in Peoria as of 04/23/2019 are shown below. You can change the search criteria at any time by pressing the 'Change Search' button below. "Former model home ready now! One of the most desirable Bradshaw floorplans in the Northlands community. Lots of designer touches throughout this Model home. Custom paint and trim. Upgraded 12x24 tile in all the right places. Cherry cabinets with Granite counters. Front and custom backyard landscape completed. So many more upgrades throughout this home. Back yard backs up to Calderwood buttes preserve. This home has a Prairie Elevation." "Former model home ready now! This beautiful Hillary floorplan in our desired Northlands community has so many designer touches and upgrades throughout. Starting with our desired Spanish Exterior with rod iron front door. Beautiful 42'' maple white cabinets, Stainless steel gas appliances, quartz counter tops with large kitchen island. Upgraded flooring and carpet. 12' multi slide glass door leading out to your beautiful backyard which backs up to Calderwood butte preserve. All bathrooms have bee"